Want to try paid social media marketing? We train or do it for you. A wise person once said, ‘Give a man a fish and he will eat for a day; Teach him to use the internet and he won’t bother you ever again’. When it comes to digital marketing, this is true. When you get someone to do your paid social media marketing for you, you hand the reins over and allow the experts to take a control. This means you are collaborating with experts to improve your bottom line. Leveraging your time like this is smart, but some businesses find their budgets restrictive at first. In this case, learning to do your own social media marketing bridges the gap. Social media is no longer an optional marketing channel, it’s necessary. Without social media marketing, it is likely that new and old businesses alike will fall behind their competitors who are easier to contact and more transparent through social media. For something so essential to business success, it is good to have knowledge on how it works and how to do it. To you, it might look simple, so why would you invest your time and money in training for something that you could learn by reading a few social media blogs? You’re surrounded by social media marketing on a daily basis, how hard can it be? The answer is, not that hard, as long as you know you’re doing. Paid social media marketing only looks simple when it is done well. Good digital marketing is usually done by trained professionals who specialise in it. Marketing through social media involves time, effort, listening and responding. 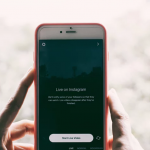 Sharing the wrong type of content on social media, at the wrong time, in the wrong way pushes you over the fine line between marketing, and spamming. Marketing professionals make sure your brand treads this line carefully and with class. We can help you recreate a professional look yourself. Training for DIY digital marketing may cost a one time fee, but you can continue to reap the benefits for as long as you need without paying extra. It’s cost-effective and you get to learn invaluable skills that allow you to be self-reliant. We have the experience and knowledge needed to make you successful. We tailor our approach to suit you, regardless of what type of business you run, to help it grow and become more profitable. KUB is a leading digital marketing agency that offers formal training in digital marketing. We train individuals, groups, and host public workshops so no one has to miss out on the wealth of knowledge we can offer. To book your training in digital marketing, get in contact with us on 0345 053 7417.